Bundle of 1,000 elastic loops for tags. Each knotted loop is 4 1/2". 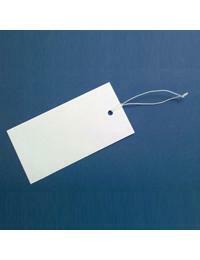 Tag shown in the image is sold separately.